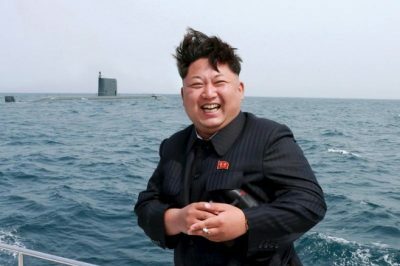 A North Korean H-Bomb? Another Nuclear Test? Pyongyang claimed it developed a hydrogen bomb miniaturized enough to fit atop a ballistic missile, according to its KCNA news agency. After the January 2016 test, scientists said the six-kiloton yield was too low for a thermonuclear bomb. Its September 2016 test reportedly had a 10-kiloton yield. The Hiroshima bomb was a 15-kiloton device. America’s first successful H-bomb test in 1952 produced a yield exceeding 10 megatons, the equivalent of 10 million tons of TNT – 500 times more powerful than the Nagasaki bomb. It’s unknown if DPRK technology advanced this far. It likely will eventually, given its determination to develop the most powerful weapons possible – its most effective way to deter feared US aggression. Post-WW II history shows America only attacked nations without its super-weapon capability. North Korea has A-bombs. If able to mount them atop ballistic missiles, it potentially can deliver a robust response to US aggression – against its regional forces in South Korea and Japan. On Sunday, a 6.3-magnitude tremor was registered in DPRK territory. It’s unclear if it was an earthquake or nuclear detonation. South Korean intelligence earlier said Pyongyang completed preparations for a nuclear test at its Punggye-ri site in the country’s northeast. Japanese Foreign Minister Taro Kono said his government determined that a nuclear device was tested, the DPRK’s sixth since 2006, the first one since September 2016. South Korea’s Joint Chiefs of Staff called Sunday’s seismic event “artificial.” A 4.6-magnitude tremor followed the first one. China said a “cave-in” could have caused it. Beijing’s earthquake networks center said a nuclear explosion might have caused the initial seismic event. Japan’s meteorology agency called Sunday’s tremors at least 10 times more powerful than earlier ones. Seoul placed its military on high alert. Sunday’s event occurred as a BRICS three-day summit began in China. Pyongyang said it won’t halt development of its nuclear and ballistic programs as long as US hostility persists.